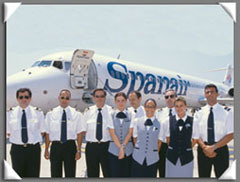 Spanair operates more than 350 daily flights to destinations across Spain and Europe with a modern fleet of more than 50 aircraft including the Airbus A320 and Douglas MD80. 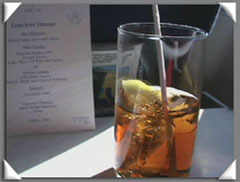 The airline transports close to 10 million passengers a year. Very nice and amazing video good job team! This DVD is just amazing! For me the first vid but for sure not the last! 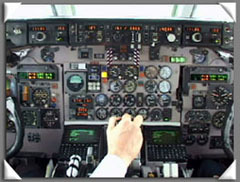 Very interesting clips of the old MD-80 cockpit! 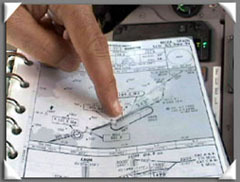 Good explanations by the pilots! All in one word: Fantastic! 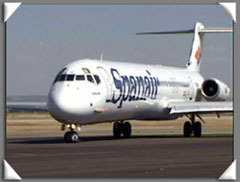 The Spanair DVD is truly a fantastic program and a must for those who enjoy the MD-80 and A320 family of aircraft. Beautiful scenery coupled with some great destinations, especially those to different points in Spain make this DVD such a pleasure to watch. 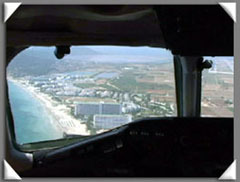 I must say that the coastal areas of Spain are absolutely gorgeous and stunning. 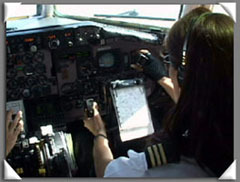 Its very nice to see some ladies again in the cockpit proving once again that this industry has come a long way. Another great show, thanks again and keep it up. This dvd is so cool with nice shots and beautiful scenery. 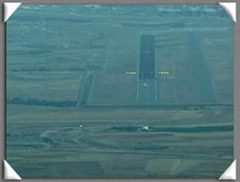 Very very very nice and impressive night flight and madrid approach and touchdown. Spanair is my first worlairroutes dvd......but i can say....not the last!!!!!!!! 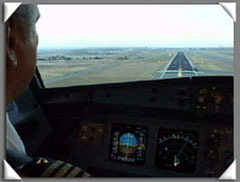 for MD-80 lovers......this dvd is THE DVD!!!!! 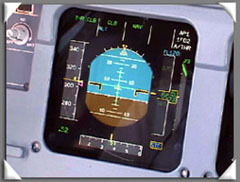 and for airbus "friends" (like me) is great too. hasta la vista. 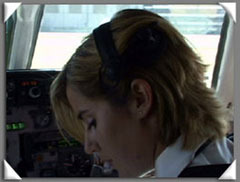 The Spanair DVD is an excellent program. 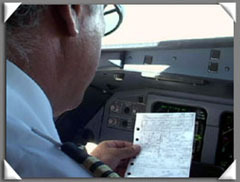 Since the MD80 is my favorite aircraft, I of course purchased the DVD. 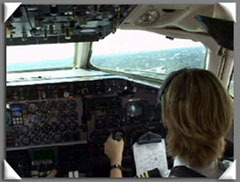 There are tons of great cockpit action along with a nice flight in the cabin. 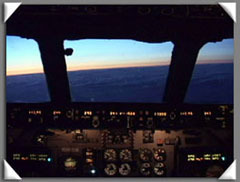 The cockpit presentation of the MD80 was great and the scenery is also awesome (as usual for your programs). Thank you for another great product! 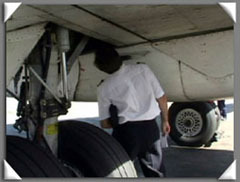 This is a brilliant DVD, and shows what a characterful aircraft the MD-80 is. 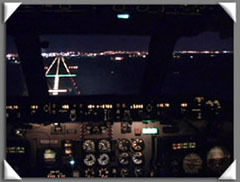 The night landing creates a very good atmosphere and the good picture and sound quality give the feeling of 'being there'. Thanks for such an entertaining program, and please keep them coming! 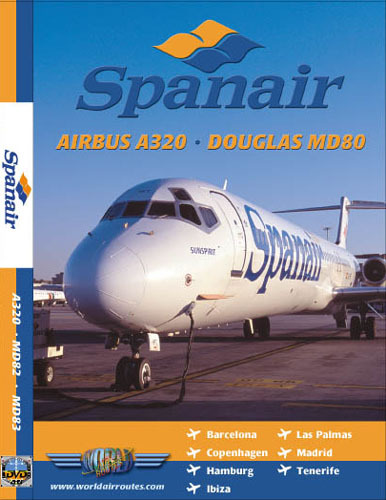 The Spanair programme is the first DVD I bought, I remember my suprise when I saw it for the first time...both aircraft are great (especially the MD80! 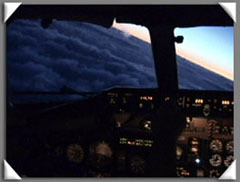 ), the sceneries are great too and the camera work is really impressive!!! I think this is one of the best DVD's so far!!! Thank you for the great work!!! Superb DVD !!!! 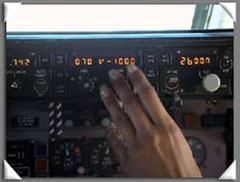 The MD 80 program is very detailed, good film and sound. My compliments. Thanks you for this wonderfull dvd. 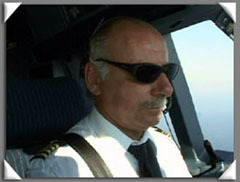 I'm F/O Felipe, one of pilots on the DVD program. You did a great job. Congratulations.Thanks again and keep up the level! This was your best program thus far -- excellent film quality. 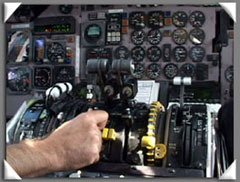 The Spanair program is outstanding. 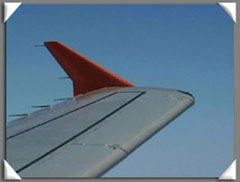 Two interesting aircraft types with the best coverage of the MD80 I've ever seen. 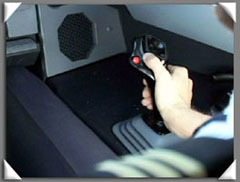 The walkaround of the MD80 and the flight in the cabin from CPH to MAD are major highlights. 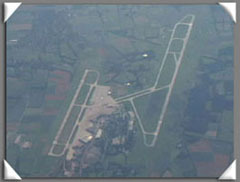 Very nice scenery in good weather throughout the program. 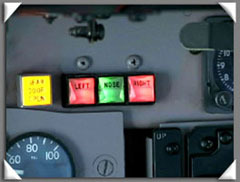 Nice shots of the passenger cabins of both aircraft types as well. 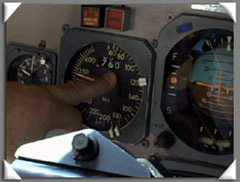 Excellent camera work in the cockpit. 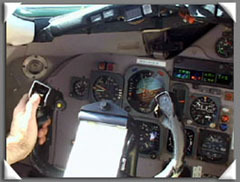 Keep up the great work on World Air Routes. 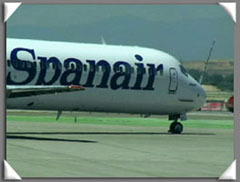 I very much like the Spanair DVD because it has personal value after flying on this airline onboard their MD80 aircraft to and from Palma in Mallorca. Although Palma isn't on the DVD, it brings back a lot of happy memories. 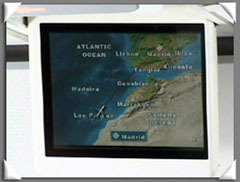 The flight in the cabin from Copenhagen to Madrid is excellent! 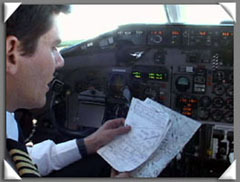 I hope you make more programs with flights in the cabin as they are very interesting and you become a passenger without having to leave home. I look foward to loads more of your outstanding DVDs! Keep up the excellent work.